I started blogging in 2013. After I documented my trip to Kashmir on India Mike I caught the bug of travel writing and started this blog. Till then I had no idea what I was getting myself into. When I started getting comments on my post, I was elated. Each new comment, new reader was met with a gleeful jump and that joy was incomparable. Slowly that joy withered. I realized there was a game being out on, it was all about scratching other people's backs, visiting their blogs and commenting in order to get a comment on yours. I didn't want to be a part of this, I thought. I would have perhaps given up had I not found Write Tribe, the first blogging community I was a part of, which taught me not only the nitty-gritties of blogging, but also helped me understand what it meant to have your own blogging community. Write Tribe was were I met like minded bloggers like Richa, Corinne, Shilpa, Raj, Sid and many others who are and will forever be my tribe. Write Tribe helped me grow as a writer, equipped me with new tools, helped me reach out to different blogs and amazing bloggers, and above all taught me the importance of sharing and promoting good content. Since, I have been lucky to be part of such blogging communities like Blog-A-Rhythm and Blogchatter which promote this blogging spirit. It is all about relationships in the end, about dialogue, about reaching out to one another when in need, about forming strong links to your blogging chain. Actions of a good community have a ripple effect.
" When one person follows a dream, tries something new or takes a daring leap, everyone nearby feels that energy and before too long they are making their own daring leaps and inspiring yet another circle"
I am in a space right now where I have lost my mojo, have forgotten what its like to simply write. Whenever I sit down to write I get distracted by ten other things going on in my life. I feel torn between where and how to spend my time. I decided to unsubscribe to some of the stuff that was junking my inbox, turn off notifications, declutter and switch off. I did all that except for the latter. I realized switching off would not help, perhaps I should try the complete opposite. Get back to my community, my tribe and engage, engage, engage! I know for a fact that their ripples will reach far and beyond and inspire not just me but many such bloggers. Hey Aditi. A very honest and straight from the heart post! All of us have been there (or in my case, live there; So welcome!) where you are right now. It may last days, weeks or months. But no one ever loses a natural talent. Sooner or later, it flashes back! Keep sharing your old posts. Be active on social media and keep reading and sharing and you will get the inspiration back. Try flash fiction too! Hey Aditi, I could actually imagine you sitting right before me and narrating all you've written. You know Aditi, you're one of the first persons from blogosphere who extended a friendly arm towards me. I was so overwhelmed by your generosity and you'll never know how much your gesture helped me. Thanks dear friend for all the happy times we had/will have as blogbuddies. Some bonds can never wear out, they are for life. Love and hugs babe.....come on get your mojo back and start rocking it! Aditi, if I were to look back, some of my best read stories were written when I was part of these groups and followed them religiously. I haven't written something really creative in ages. Like you, I did think of switching off. But I'm glad I decided otherwise. I'm now trying photo posts and flash fiction to keep the spirit going. I'm sure it will surely help me. The BarAThon in August did help me immensely to get back to writing. So don't shut yourself up. Just keep updating something or the other on SM and the blog. It'll click. Awesome post Aditi to kick off blogbuddy - I can totally relate with all that you wrote here. the comments and like really make your day till the day you realise its about doing it for each other; loosing one's mojo is something I went through too. 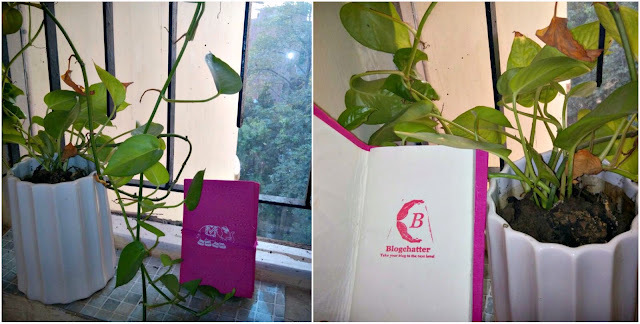 Blogchatter has pulled me out of all this and I am now a regular reader of blogs, especially the ones that have some great content. Learning from such bloggers has been big for me. Good to have you as a blogbuddy!Let us blog together and blog better! I love this line. BlogChatter is awesome, I second that. I am part of team InkMagic. Wishing us all the best and cheers to some super writing and fun ahead! Just a great and wonderful blog once again I get with your blog . Thanks for posting the beautiful blogs here. Keep posting more with us. If you are planning for a home then get the plots near super corridor indore with a perfect location for your home and commercials.